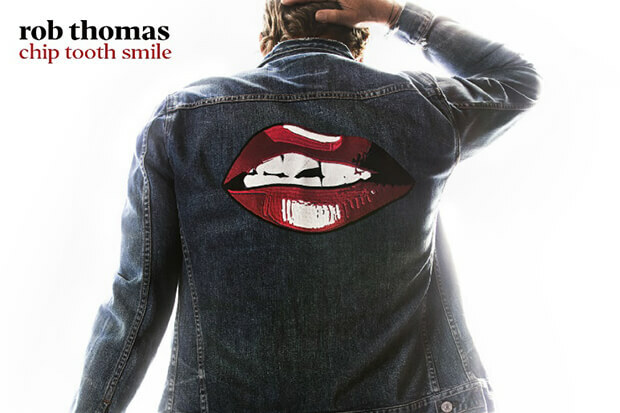 Rob Thomas Introduces 'Chip Tooth Smile' With "One Less Day"
Matchbox Twenty has a special place in my heart (Yourself Or Someone Like You is a stone-cold ’90s classic), which makes the prospect of new music from frontman Rob Thomas rather appealing. We last heard from him on 2015’s underrated The Great Unknown — “Hold On Forever” deserved to be a smash — but he makes up for lost time by unleashing a radio-friendly pop/rock anthem. Produced by Butch Walker, “One Less Day (Dying Young)” evokes vintage Bruce Springsteen with its punchy chorus and quiet defiance. “This is an anthem about life and living,” Rob explains in the press release. “Living one more day is a privilege not afforded to everyone, so do all you can with the ones you get.” The rocker also unveiled the April 26 release date of 4th LP, Chip Tooth Smile (the cover is also a nod to The Boss). He will support the album with a North American tour, which kicks off in Red Bank, NJ on May 28. Check out the Andy Morahan-directed video for “One Less Day (Dying Young)” below and see all of Rob’s tour dates here.